Providing 10 effective Astro Remedies to get Government job and Bank Jobs. Try this simple remedies and you will see some quick results to get government jobs. 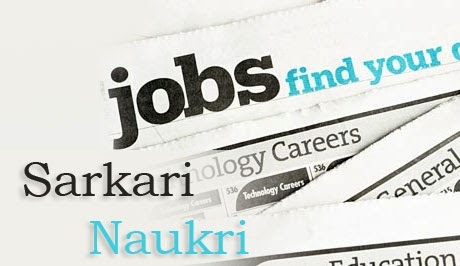 There are lots of candidates apply for UPSC, SSC, IBPS, SBI jobs but very few gets chance to get job in government. There are too much flood over government jobs as government jobs and bank jobs are most secure jobs, with quite high pay. There are lots of candidates who are intelligent enough, well qualified but still lack chance to get qualify for government jobs. Because, Saturn ( Sani Grah)'s position in your horoscope decides your career, nature of your profession. Sani grah in your kundli can decide your career path. So, if sani grah is not strong enough in your kundli then you defiantly going to face difficulties, obstacles to get government jobs. So, here is some astro upay to get government job via strong satrun.Sani Grah ko majboot kar ne ke upay, Sani ke upay. 3. Repeat the Shani strot daily for 21 days. 4. Donating mustard oil, black urad and seasame seeds and black cloth on each Saturday will help you to get government jobs. 5. Take fast on Saturday and worship sani dev with Dashrathkrit Sani Strotam. 6. Wearing 14 face rudraksha can also help you out to get government jobs as it will help you to get power, authority, name, fame and glory. 7. Do wear blue sapphire (nilam) with weight of 4 to 6 carat with gold ring in the middle finger of right hand. This will help you to get enhances destiny and reduces the malefic influence sani dev. Wear it only after astrologer's advise. 8. Wearing Neeli of 6 to 8 Carat in the middle finger of right hand will also help you out to achieve your goals in life. 9. Wearing Turquoise (Phiroza)in the middle finger of right hand in silver ring of 5 to 7 Carat can also help you rings favor of Saturn. 10.Wear Lapis lazully of 8 to 13 Carat with silver ring in middle finger of right hand to improve mental condition, memory and sixth sense. Which Flowers to be used to worship God and Pooja? How to Increase Reasoning Power ? I have done all the remedies, I have just faced a sudden loss of my good job. My astro told me to pour milk and water daily on a stone at home to get a better job or to be retained. Is it a new or rare remedy of Shani dev or anything else? Please guide. May be I am wasting time and effort!